Join us at Chatham Wine Bar and Chatham Inn at 359 Main for this incredible Back to the Future event, to benefit the Michael J. Fox Foundation for Parkinson’s Research. 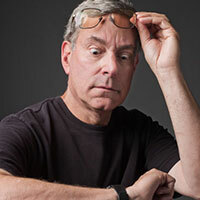 Hosted by actor Christopher Lloyd (“Doc Brown”), and the writer and producer of Back to the Future, Bob Gale. 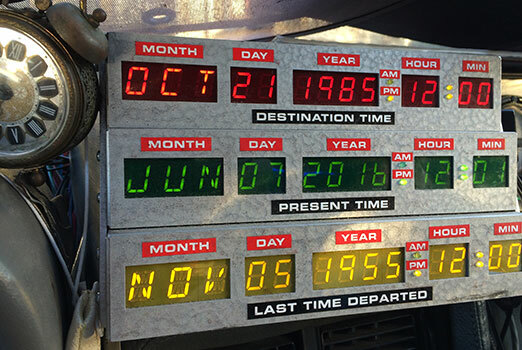 Get your picture with the DeLorean time machine – or even a ride in the car! Enjoy an amazing ZD Wine Pairing dinner with the celebrities, and take in a screening of Back to the Future with an exclusive Question and Answer session before the film! Call 508-945-9232 to make room or dinner reservations. Celebrity appearances subject to change. A spectacular evening of Food and ZD Wine at Chatham Wine Bar with Doc Brown himself, Christopher Lloyd, and writer/producer of back to the Future, Bob Gale. The evening will start with a cocktail party, before moving in to the chic dining room for an incredible 4 course dinner prepared by our chefs! Your evening includes the cocktail party, ZD Wine pairing dinner, and a personal photo of you with Christopher Lloyd and Bob Gale. 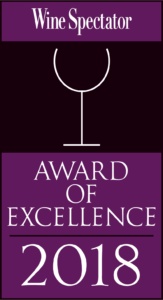 Strictly limited to just 30 guests each evening – reserve now by calling 508-945-9232. $150pp (+ tax and gratuity). All proceeds benefit the Michael J. Fox Foundation. 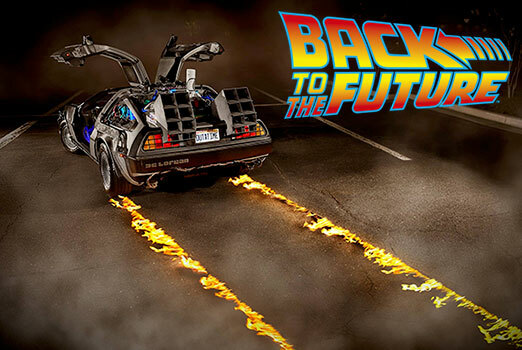 Join us for a screening of Back to the Future at the Chatham Orpheum Theatre, with a one hour Question and Answer session following the film with actor Christopher Lloyd and writer/producer Bob Gale. Limited to just 147 guests – purchase now at the Orpheum Theatre, or by visiting the Orpheum Theatre event website here. $50pp. All proceeds benefit the Michael J. Fox Foundation for Parkinsons Research. 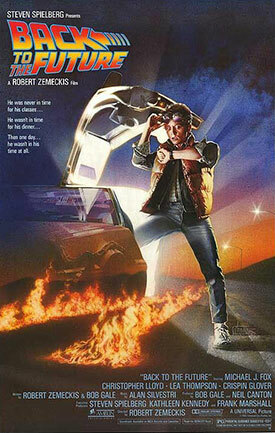 Option 2: Cocktail Party, Q&A and Screening of BTTF, 7:30pm NEW EVENT! A once in a life time experience for BTTF fans! 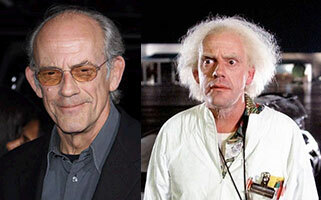 Join us for an intimate cocktail party with Christopher Lloyd and writer/producer Bob Gale, before a screening of Back to the Future in the small theater. Includes hors d’oeuvres and open bar. Limited to just 34 guests! Purchase now at the Orpheum Theatre, or by visiting the Orpheum Theatre event website here. $150pp. Proceeds benefit the Michael J. Fox Foundation for Parkinsons Research. 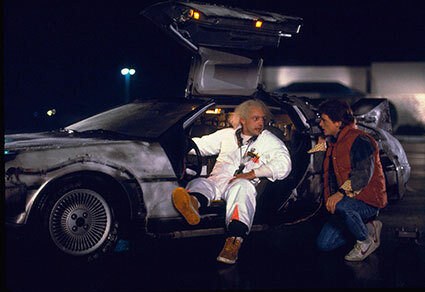 Get your photo in the DeLorean Time Machine! 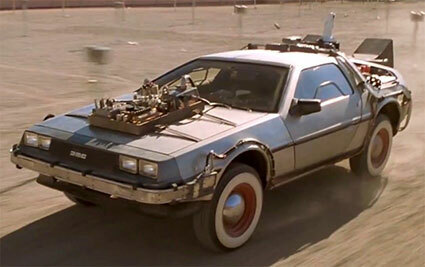 Get a ride in the DeLorean Time Machine!